A time capsule is defined as a historic treasure trove of goods or information to help historians. 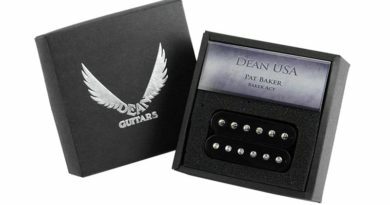 From the mid-70s to the mid-80s, many Dean guitars were associated with a certain pickup. If you’ve been around these parts for any reasonable amount of time, you know that I do talk about how things change over time. 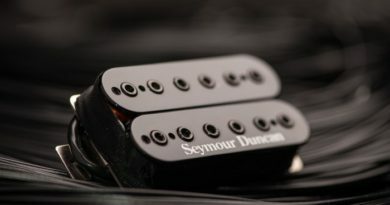 As with many things in the guitar gear realm, a lot of players have an obsession with one the 70s version of the earliest high output aftermarket pickup. Wouldn’t you know that the current ones just are not quite the same. So what does Dean do? They have an archive containing some of their guitars from that era. And they also have their own department that makes their DMT pickups. So they make the Time Capsule! Maybe you’re thinking, “Why didn’t they call it the Super Dean?” See what I did there? LOL! This is where it gets tricky for some people. The Time Capsule looks like a normal humbucker. Filister screws and regular slugs. Not head head screws. Nickel silver baseplate. Not brass. 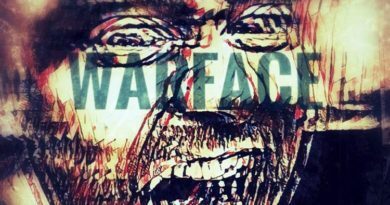 This sort of thing can really blow the top off of some guitar players. Who knew people hear with their eyes? HaHa! Something else we talk about around these parts has to do with how there’s more than one way to skin a cat. 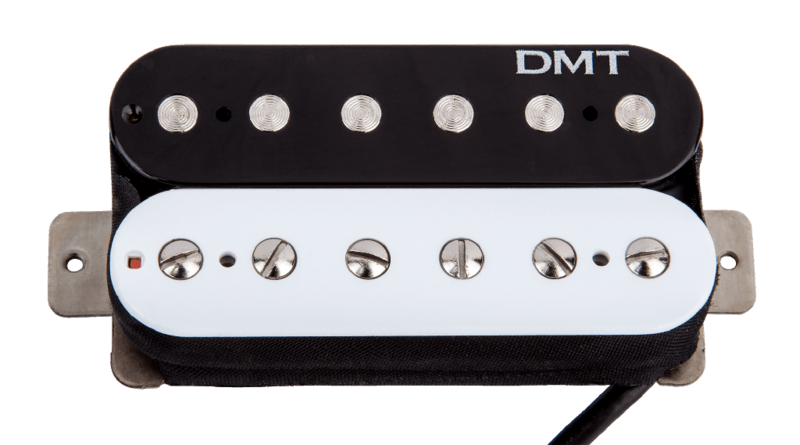 The Time Capsule is a solid distortion-class humbucker. What I’m digging about the Time Capsule is that it’s more melodious and less harsh than some of the contemporaries out there. I’m thinking that this is also what has some people hunting down those ones from the 70s. Thanks to Dean, you don’t have to go to those lengths. 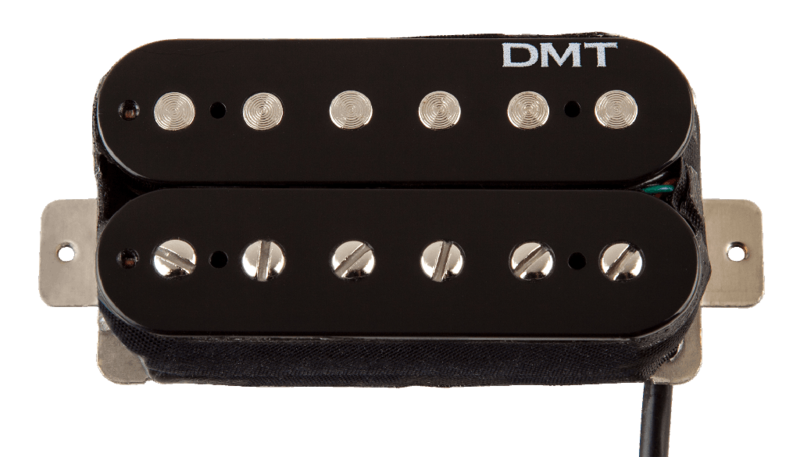 This bad boy is loaded in a double-hum super-strat with a Dean DMT Nostalgia model in the neck. The Time Capsule is available with 4-con lead wire, so I have it to switch between series/split/parallel. One of the first things I’m hearing is that the Time Capsule has loads of authority while maintaining control in the bottom end. The lows are harmonically rich and beefy, but not at all boomy or loose. Riffs come to life with a satisfying roar in the mids. The high end is what is a make-or-break for some people in this type of pickup. Yet the Time Capsule handily walks the line between precision and being in your face when navigating the upper frets. 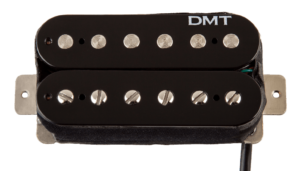 Clean amp tones tend to reveal a lot about a hard-hitting pickup. The Time Capsule has a musical character that works much better than you’d expect. You might find yourself giving a tweak to the volume pot, but you’ll have a much broader range of options. The Time Capsule comes in black, white, black/cream zebra, black/white zebra, standard spaced and trem spaced. If you’re looking for one of the most classic overwound rock bridge lead tones from the mid-to-late 70s, Dean’s Time Capsule needs to be on your radar. 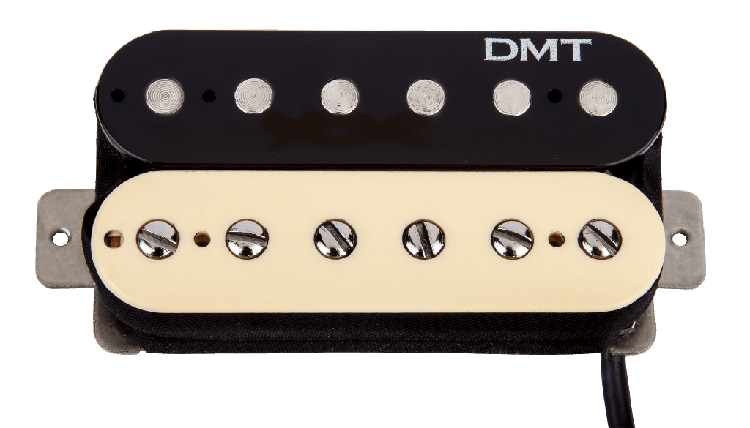 For reference, this Dean DMT Time Capsule pickup evaluation was conducted with a Fractal Axe-Fx II XL+ featuring Celestion Impluse Responses and Fractal MFC-101 MIDI Foot Controller. Real cabs used were Marshall 1960B cabs loaded with Celestion G12-65s, Vintage 30s and G12M Greenbacks.